DeoxyArbutin Advanced Whitening & Lightening Serum is a novel reversible tyrosinase inhibitor. 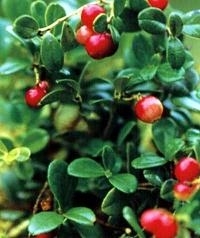 DeoxyArbutin is derived from the leaves of the Vaccinium vitisidaea, DeoxyArbutin is a gluconopyranoside that inhibits tyrosinase. It also inhibits melanosome maturation without associated melanocyte toxicity. Deoxyarbutin is a synthetically modified derivative of arbutin with enhanced pigment lightening properties. For skin whitening effect, DeoxyArbutin is 350 times more effective than arbutin, 150 times more effective than kojic acid, 10 times more effective than hydroquinone. DeoxyArbutin Advanced Whitening & Lightening Serum can effectively inhibit tyrosinase’s activity and melanogenesis to get significant and lasting lightening effects. It is safer, more stable, less cytotoxic, less irritating to skin and better absorbed. And It continuously work 8 weeks after stop application. The Intensive Whitening Serum not only lightens the skin but also prevents liver spots and freckles, treats sunburn marks and regulates melanogenesis and. Directions: Apply small amount to face and neck using firm and smooth circular movements from the central T-zone of the face towards the outer edges. Use daily at night-time. Apply other Win-Leader Clinical Skincare solutions concurrently for better results. DeoxyArbutin (dA) effectively lightens skin pigmentation topically treate daily for 9 weeks with vehicle, or dA, hydroquinone, arbutin, and kojic acid at 3% in I base. (a) Skin lightness was assessed weekly with a chromameter and change in L-value plotted. DeoxyArbutin exhibited a sustained skin lightening affect by the third week of application. (b) Photographs at the 9-week time point of skin areas treated with vehicle, dA, Hydroquinone, Arbutin, and Kojic Acid, respectively. (c) Skin lightness was assessed weekly throughout the 14-week period with a chromameter and change in L-value plotted. DeoxyArbutin exhibited a dose-dependant skin lightening effect during treatment and recovery to base line within 8 weeks of halting of treatment. *P<0.05 for each line compared to the vehicle treated control.